If you’ve ever wanted to wear a PC on your back while you play VR games, lucky you! Because, your dreams are real. Gigazine reports that MSI recently showed off its Backpack PC, which is outfitted with an Intel Core i7 processor and a NVIDIA GTX980 graphics card. 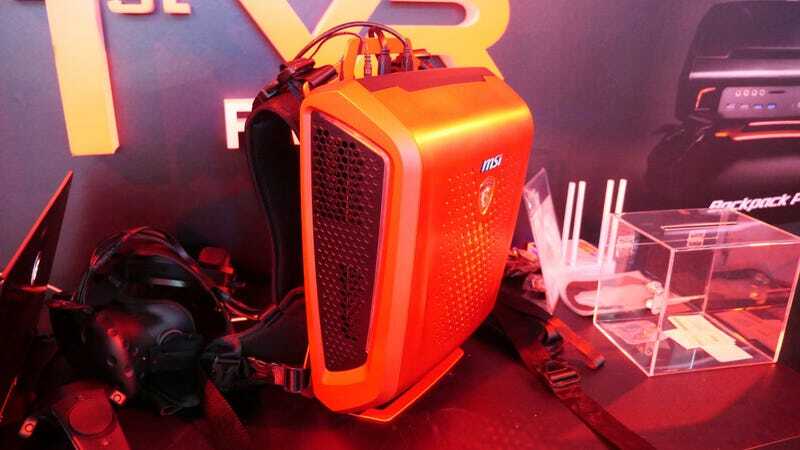 The idea is that by wearing the PC on your back, you’ll be free to have an even more immersive VR gaming experience. Save for the fact you’ve got an 11-pound PC strapped to your back, but whatever. According to Gigazine, which recently checked out the rig, it’s apparently not burdensome. As Tech Times reports, this isn’t the only upcoming PC Backpack (HP has one, too). So, yes, this does look like a trend. The Backpack PC is slated for release this year. Pricing is currently unannounced.